My name is James Clammer and I write stories. Some are for adults and some are for children. I work in a winterproofed shed at the foot of the South Downs. It's tiny and sometimes the walls press in. Other times, though, it's an ocean liner, with thousands of cabins and theatres and engine-rooms to explore. If I'm lucky I get to meet people there — people from cities, from history, even people from the future. Often the corridors are empty and there isn't a soul aboard. I feel like there's a lot more of this liner to explore. It's a strange place, but I don't really want to be anywhere else. Below are some things I've written. 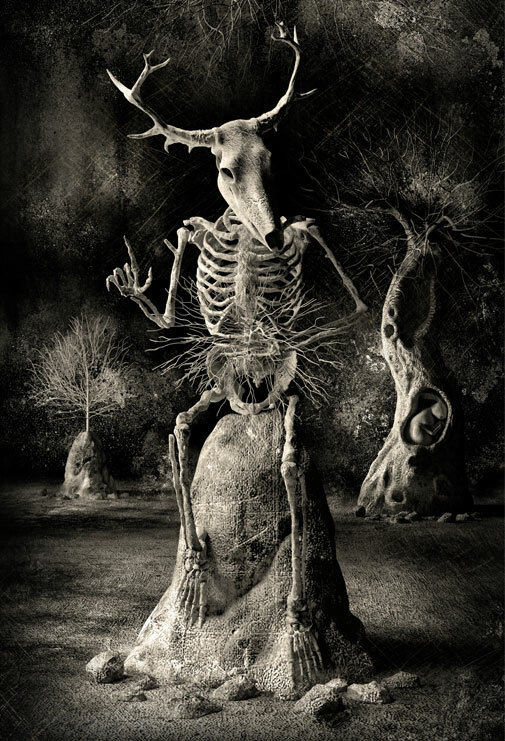 A commission from Visual Verse, responding to this haunting image by Wellcome Image Award winner Oliver Burston (aka Spooky Pooka). You can read The Tread of Secret Kings here. Published by Galley Beggar Press. 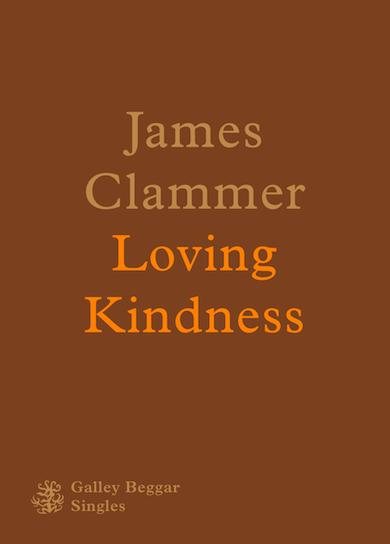 You can buy Loving Kindness from Galley Beggar Press. A few years ago my daughter's bike was stolen from outside our house. It was a small, pink, girl's bike – my daughter was still very young. Who could have taken such a thing, I wondered? How much could they have got for it? Around the same time, the Staffordshire Hoard, recently discovered, went on display at the British Museum. We had also received a spate of junk mail addressed to the house's previous owner. From those three elements — a stolen bike, a pile of junk mail, and some ancient artefacts — I made this novel. 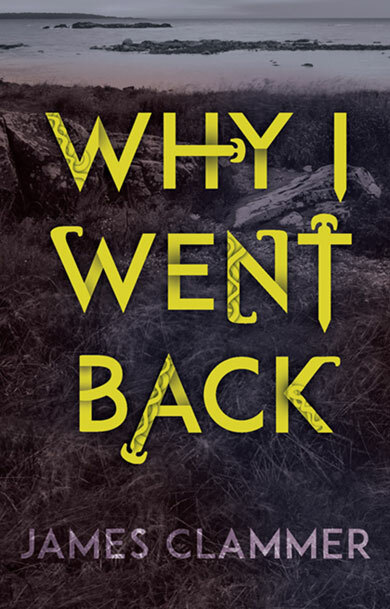 You can buy Why I Went Back from Amazon. I had a dream about a grotesque creature being fed hotdogs. The next day I wrote this story. 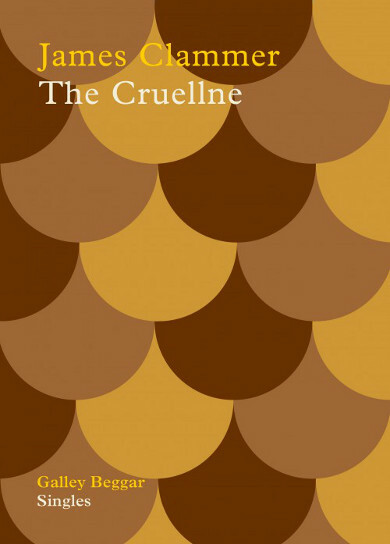 You can buy The Cruellne from Galley Beggar Press. Once on a seaside street, my wife and I saw a motorist run his car over an enormous gull. My wife went beserk and chased after the man, but he drove away looking shamefaced. I remembered that incident here. You can buy Red Buttons from Galley Beggar Press. Decorating a room, or a flat, is a ritual that couples often go through when they've decided to commit to each other. But occasionally things come along that put them to a much more difficult test. 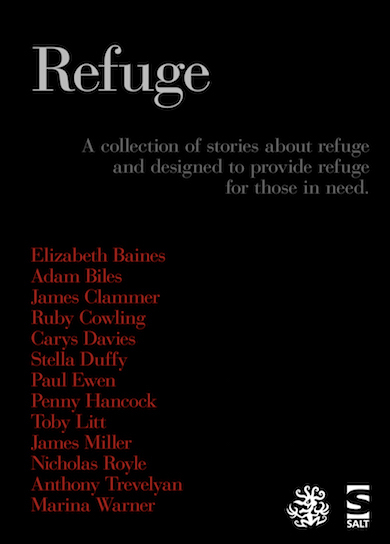 Part of Refuge, a collection of short stories in aid of refugees. All proceeds to Medicins Sans Frontieres. Published by Galley Beggar Press and Salt. You can buy Refuge from Salt Publishing.